The following piece was submitted by guest writer Katie Johnson. All ULC Ministers are invited to contribute their own sermons for consideration/publication. To submit a sermon, please email it to sermons@themonastery.org. The most important thing on the day of your baby’s christening is that you take your time, relax, and enjoy your baby’s special day stress free. In order to do that, you must plan your day out ahead of time and tie up any loose ends ahead of schedule. There are certain steps to planning your baby’s christening, and we will go over some of them in this article. If you are already a member of a church, this step will not be that hard. 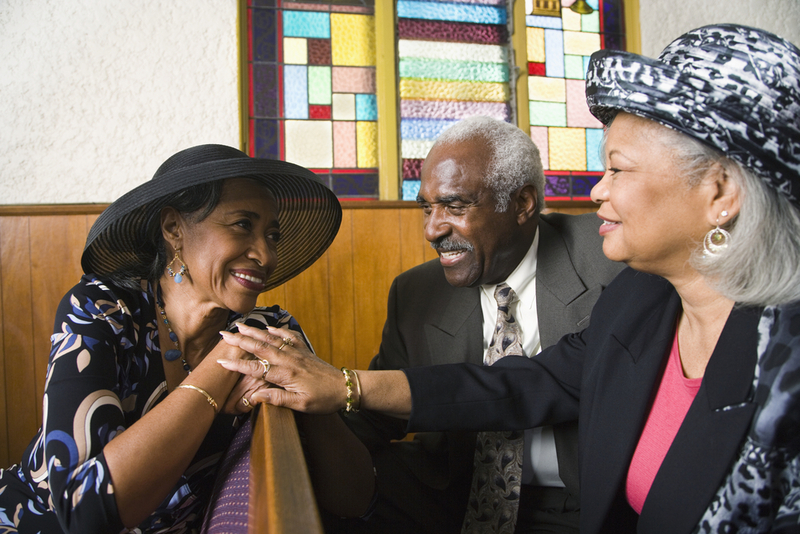 If you do not currently go to church, you can ask friends or relatives which church they would recommend. Simply call or visit the church in person, and state that you would like to have your child baptized there. Nobody is going to pass judgment on you, but instead, they will welcome you in. It is likely that the church will have some classes for you to attend to fully understand the sacrament, so you’ll definitely want to allow time to fulfill that requirement. Generally speaking, most churches will perform their christenings on the weekend. While this tends to work well for most people’s work schedules, you will want to check with friends and relatives to make sure. If you are going to christen your baby during a time when many people are out of town on vacation, or if it may fall on a holiday, you will want to give everyone as much notice as you can. This will enable you to have the greatest turnout for the celebration. Depending on the culture in which you come from, this can have different meanings. In all cases, however, it denotes a certain responsibility toward the child in terms of spiritual guidance and of being a role model throughout their life. Knowing who to choose as godparents can be tough, so take your time and think it through carefully. This is where it starts to get fun. You may have a family heirloom baptismal gown that will be passed on to your child, or you may be following the tradition that says that the godmother purchases the gown. If you choose to buy it yourself, keep in mind that this may be passed down to future generations. Buy something you think will keep well and that you will reasonably be able to keep clean. You should take the weather into consideration when choosing your gown as well. In order to plan the perfect christening for your child, ensure you take on board some (or all) of the above preparations. Good luck! God says except you be as little children you cannot enter the gates of Heaven why Baptize them? Not sinners! We have sinned, we have to be Baptized to enter heaven Acts 2:38 we are told Rev 22 not add to Gods word. If you do you are sinful. The 1st ceremony was for 2 little girls whose parents were Wiccan (as am I) and wanted the Blessing (but NOT a Christian one) and the legal baptismal certificates that I could issue so that, in conjunction with birth certificates, they could apply for Passports for their children for a European trip planned for the next year. The next ceremony was for a beautiful little 3 month old boy who looked like the Gerber baby: big dark eyes looking around at everyone, straight hair waving like dandelion fluff. The Catholic Church refused to baptize him because he had two Mommies. A church has every right to say, we disapprove of you. You are a sinner. Go away. But since Catholic Doctrine says an unbaptized child does not go to Heaven, they were throwing this innocent child into the garbage. I was horrified and outraged. So I (Wiccan, hetero) did a Christian ceremony as the child would be receiving any life religious training from his loving mothers or from the Godparents (Christian man & woman). The women’s families and friends were there and very supportive of the baptism. Thank you for your thoughtful, respectful, truly ULCM (Wiccan) service. If we are not ministers for this, they why are we ministers at all? That was truly an inspiration. It reminded my heart why it beats. Thank you. I like that you talked about how you must consider buying a baptismal gown that you can keep well since it can be passed down for future generations. My brother is planning the baptism of his son. It’s important for him to find a christening suit that has the ability to be preserved so it can be used by the next generations. I will make sure to share your blog with my brother so he can get some tips for choosing baptismal clothes.